Nudging could be used to change the image of bullfighting. Nudging can only be applied to individual decision-making, while sports are organizational by definition. 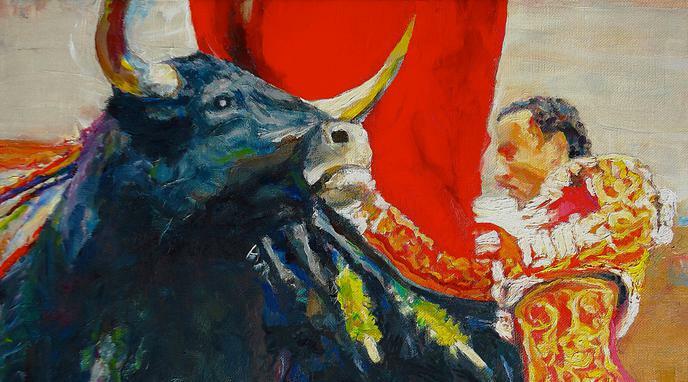 For a state policy targeting bullfighting to be effective, there ought to be at least some material disincentives, such as high excise taxes. Burdensome bureaucracy would not be sufficient unless the requirements are set so high that they and up creating a de facto ban on bullfighting, which would put them outside the nudge theory spectrum.